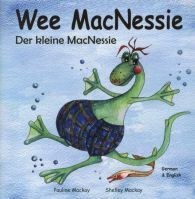 Dual Language Edition: Wee MacNessie shares his likes and dislikes with the world. A humorous and endearing reinvention of the world-famous Loch Ness Monster. Simple text aids first language-learning. Delicate watercolour illustrations capture life around Urquhart Castle.